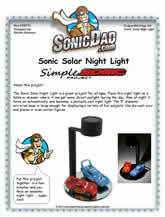 The Sonic Solar Night Light is a great project for all ages. 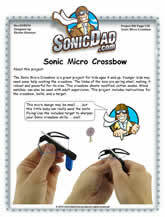 Place this night light on a table or dresser where it can get some direct sunlight during the day, then at night it turns on automatically and becomes a sonically cool night light. 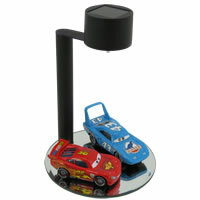 The 5-inch diameter mirrored base is large enough for displaying a variety of fun subjects like die-cast cars and planes or even action figures.